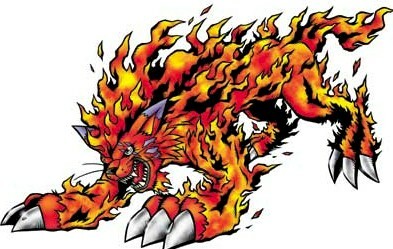 Beast type Digimon that evolved from an ancient Gatomon through the �Digi-Egg of Courage�. Her fur is always on fire. Garurumon is her rival. Origin / English. A lynx is a type of wild mountain cat.